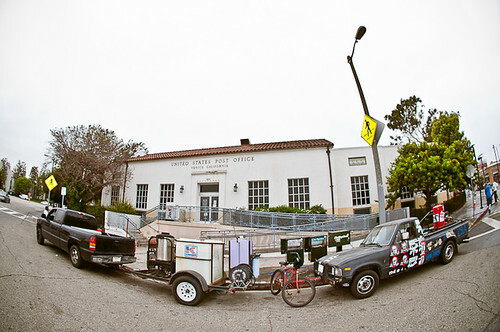 PAD: Venice Post Office Clean Up! - Yo! Venice! Home Venice Beach California PAD: Venice Post Office Clean Up! 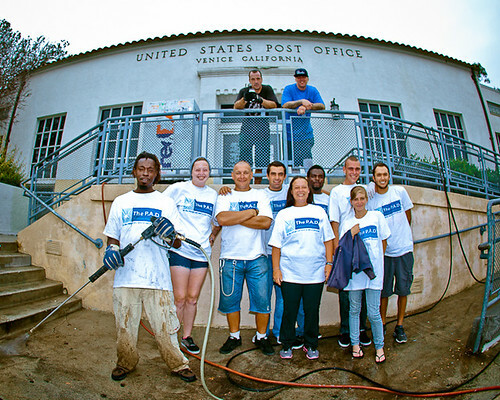 PAD: Venice Post Office Clean Up! 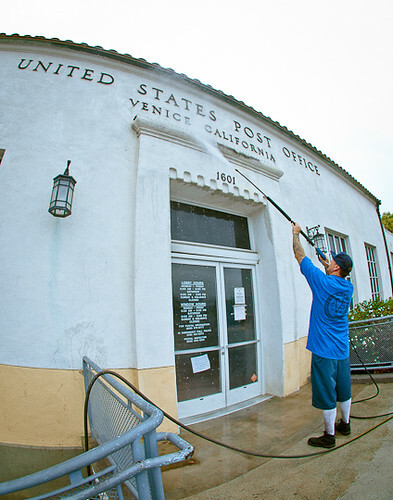 The recently closed Historic Venice Post Office building and the surrounding sidewalks got a cleanup on the 3rd of July thanks to The Teen Project (PAD), The Venice Surf & Skateboard Association (VSA) and Jack Durston’s High Power Pressure Washing! Shirts were provided by The Ave and Ray Rae took the pictures! The Teen Project’s “The Venice PAD“, a drop in center for homeless teens that opened in February at 76 Market St., has recently been doing numerous neighborhood cleanups, including the post office and Market Street! 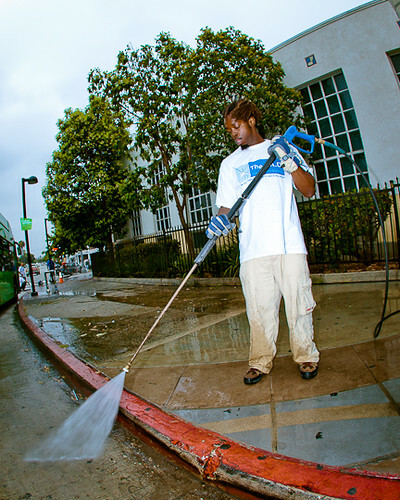 If you are a local business (or homeowner, or neighborhood group) that would like to help out by putting these great kids to work, sweeping or power washing or … pretty much anything you may need help with … get in contact with the Venice PAD! Any and all funds that are collected by the group for such projects goes straight to helping the “at risk” teens, none of it gets used for administrative costs!